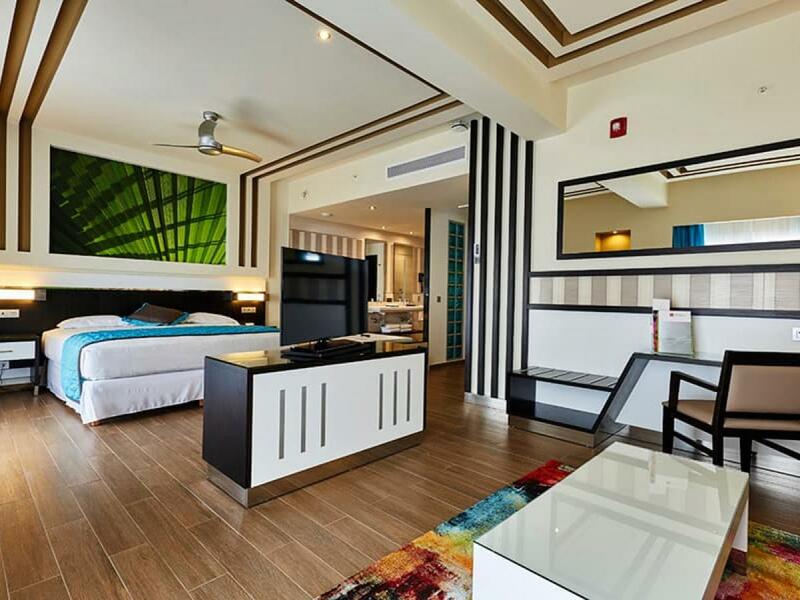 The new Hotel Riu Dunamar gives right onto the heavenly Costa Mujeres beach, on the continental side of Isla Mujeres, in Quintana Roo, some 30 kilometres from the Cancún hotels area. 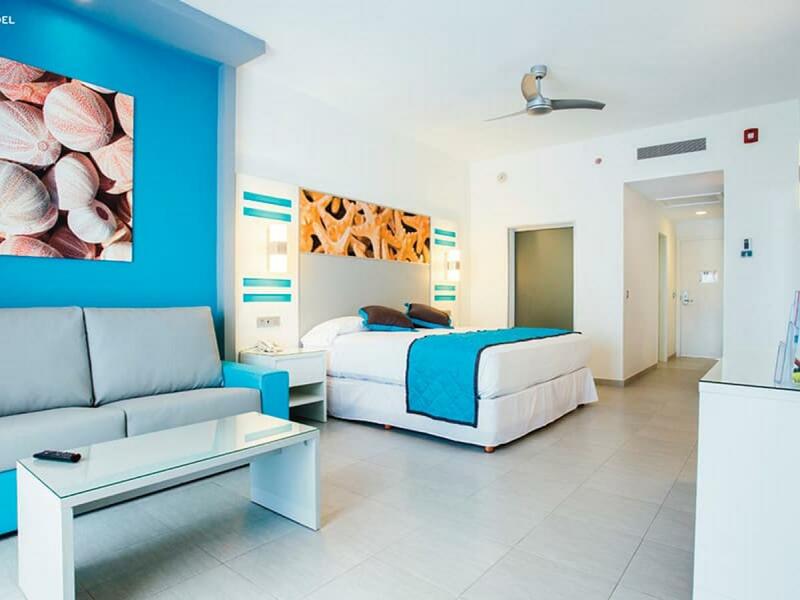 This 24h All Inclusive hotel in Cancun - Costa Mujeres has free WiFi throughout the entire hotel, a wide gastronomic offer, and the best services for you to enjoy an unforgettable holiday with RIU Hotels Resorts. 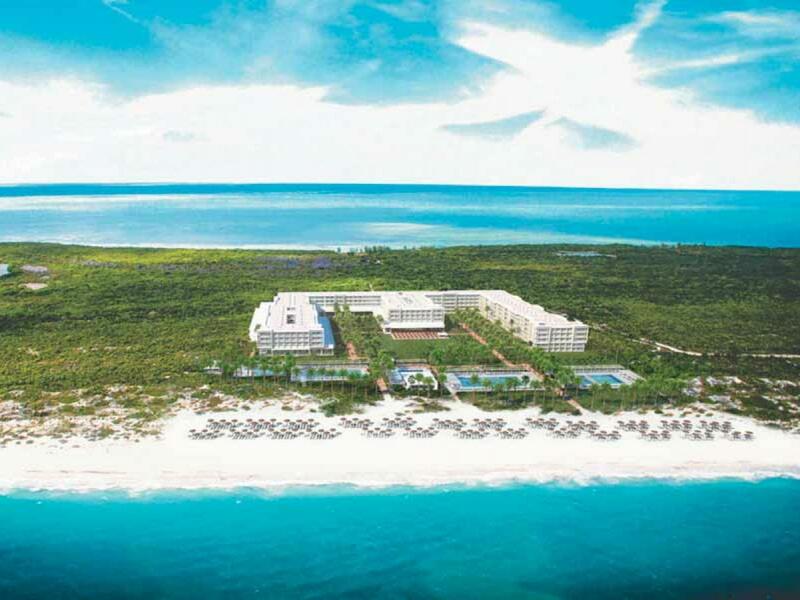 The new Hotel Riu Dunamar gives right onto the heavenly Costa Mujeres beach, on the continental side of Isla Mujeres, in Quintana Roo, some 30 kilometres from the Cancún hotels area. 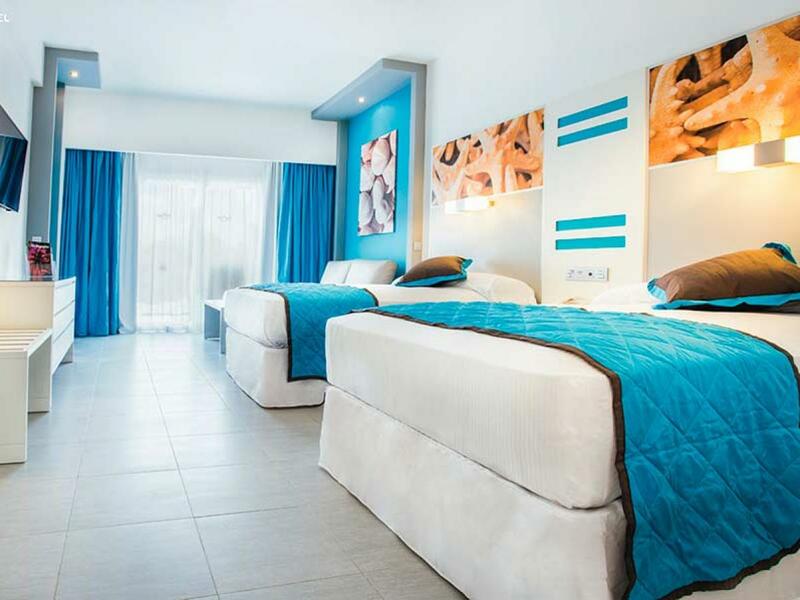 The more than 700 rooms of the Hotel Riu Dunamar are perfectly appointed with the best amenities, such as air conditioning, a minibar and beverage dispensers. 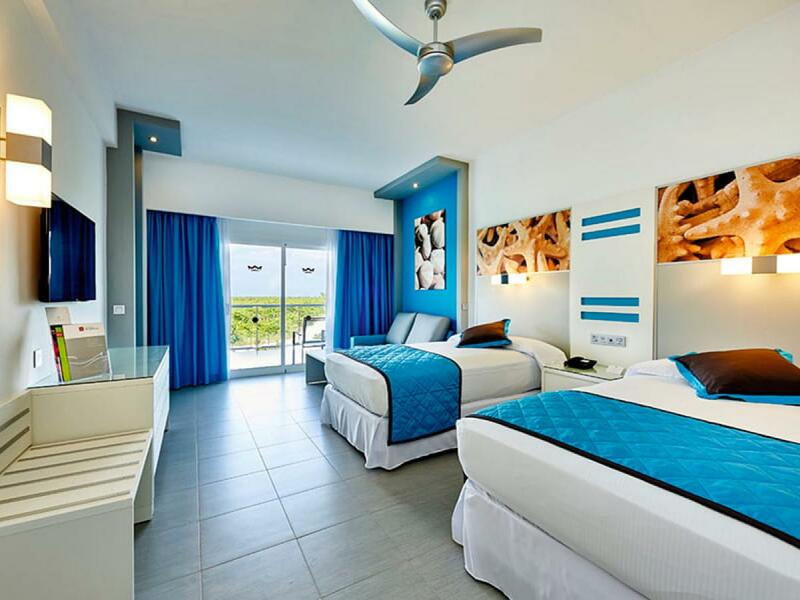 Additionally, in our hotel in Cancun - Costa Mujeres, you will find five outdoor swimming pools with lounge chairs and umbrellas for you to relax in the warm Mexican climate. 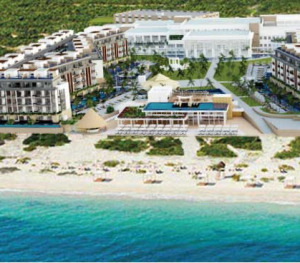 And if you wish, you can visit the beach and practise water sports such as kayaking and snorkelling. 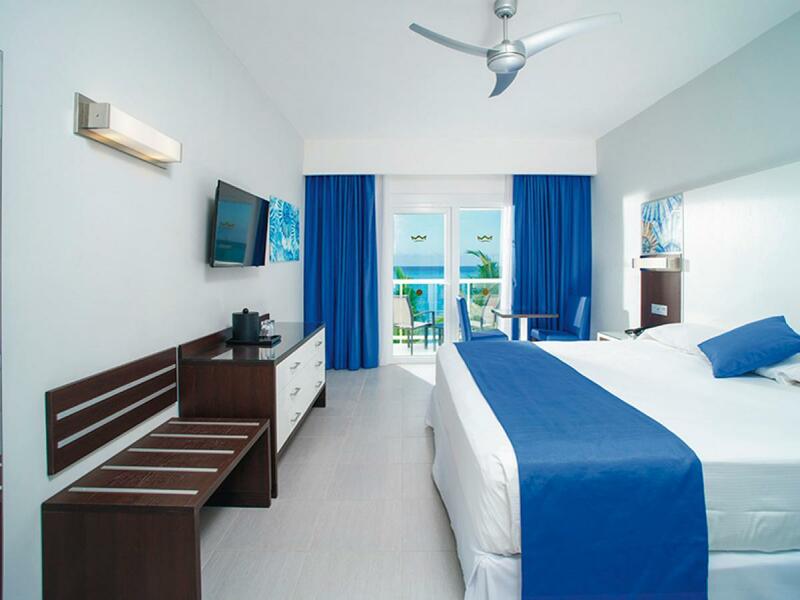 The Hotel Riu Dunamar offers countless services for you to enjoy during your stay: the best daytime and night-time entertainment programmes, live shows and music, the RiuLand Kids Club for the youngest members of the family, and the RiuFit programme, ideal for our more athletic guests. And if what you need is a relaxing experience, we can suggest the sauna and jacuzzi at the Renova Spa, where you also have the option of scheduling hairdressing, beauty and massage treatment to return from your holiday feeling brand new. 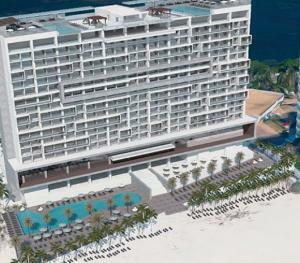 The gastronomic offer of this hotel in Cancun - Costa Mujeres stands out for its variety and refinement. In the hotel restaurants, you will be able to savour the best gourmet Asian and Italian cuisine, as well as the best meat dishes at the pool area steakhouse. 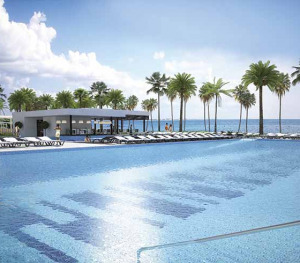 You will also be able to enjoy to authentic continental breakfasts in the main restaurant and a wide variety of snacks and appetisers in the hotel bars, including at the pool swim-up bar. Cancun - Costa Mujeres is the perfect destination for a holiday in paradise thanks to its white sandy beaches and crystal clear waters. But if you would like to visit the area landmarks, we recommend you visit the Isla Mujeres sea turtle conservation centre, the Kukulkan pyramids at Chichen Itza, and the archaeological ruins of El Rey. 592 square feet of space with one super king-sized bed (200x200 cm), a sofa in the lounge area.